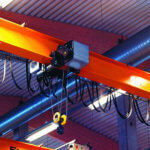 Portable Overhead Crane is a type of hot sale light duty crane from Ellsen Crane machinery. With its flexible and adjustable feature, Ellsen mobile overhead crane has gained warm welcome from our customers all around the world. 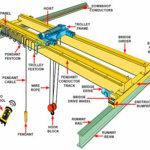 This type of bridge crane can be used on many working conditions with its own special advantages. You can use it for your family indoor room usage for hoisting materials or outdoor rooms for small constructional facilities. 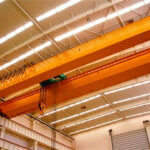 Wholesale portable overhead cranes are available from us. 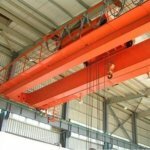 Portable overhead cranes in Ellsen have its own strengths compared to other kinds of cranes, such as the jib cranes, gantry cranes, etc. in material handling operations. 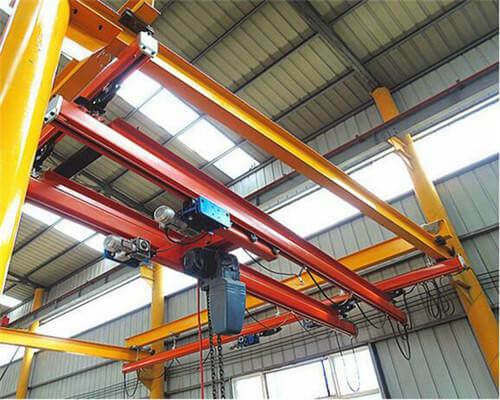 This type of overhead crane equipped with square tubing uprights, knee braces, and channel base can support users’ heavy duty material handling work needs. Perfect compatibility is another strength of the mobile bridge crane, combined with our motorized electric hoists or hand ones, it will promote your working efficient to a huge degree. 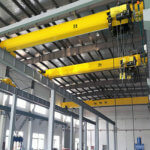 Under such configuration, you do not have to worry about your customized mobile crane overcapacity. 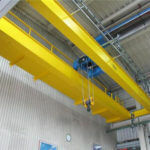 These cranes have a factor of 15% of crane capacity for the hoist and trolley weight, with an additional 25% of the capacity allowed for impact. Ellsen portable crane can perform its role in the full play. Wherever You Need, Ellsen Mobile Overhead Crane Will Meet Your Expectations! 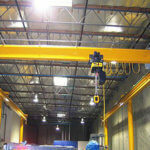 In Ellsen, we provide you with portable cranes in capacities up to 1 ton and spans up to 30 feet. All Ellsen Cranes are CE certified and with a capacity placard installed before delivering that display the CE logo. Finally, add one, 1 ton overhead crane, 2 ton crane, 5 ton bridge crane and 10 ton overhead crane are our very hot products. If you are running a business at one of the working conditions, we recommend you equip a mobile shop crane for your facility. If your business needs flexible lifting equipment, it would be better for you to have one. 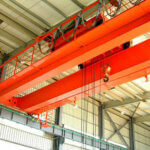 For safety sake, lifting materials with much higher safety, this mobile crane is your top choices. If you need a crane to maintenance or pulling products, you can use it instead of a forklift. All in all, anywhere you need a hoist for lifting materials, you can use the portable overhead crane to smooth your working load. Opportunities Fall on You With a Low-cost Portable Bridge Crane, Seize It! 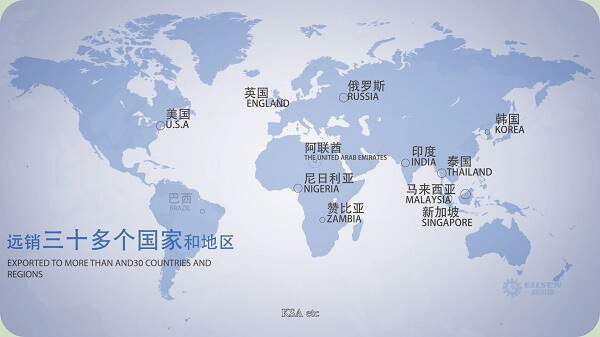 Since Belt and Road Initiative implements, Ellsen, on one hand, provide its cranes at factory price, on the other hand, provide more preferences for countries along the belt & road initiative. So, if you need our crane products, welcome contact us and hope you seize this chance to save your pocket of money. 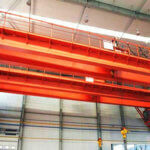 Apart from the price preference, other additional services are also very attracting from our crane factory. Quick delivery, once we receive your order, we will prepare the best cranes you need, and deliver it to you as soon as possible. A long-term warranty lasts five years with will eliminate any confusions about the cranes. Maintenance, operator training, and installation are free of charge, once you become our regular crane customers. 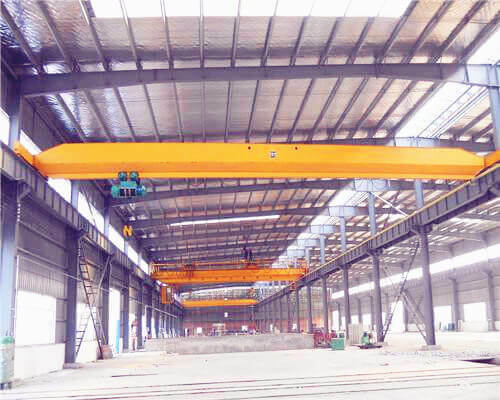 Any type of portable overhead cranes you need, we can make them available for you with single girder overhead crane or double girder overhead crane, be free to contact us.